poem and image © copyright dfbarker 2012. Image in part created digitally, a beach scene on the North Norfolk coast of England, near Titchwell. The image does not necessarily have any relation with the haiku content. A lovely beach scene, and the I love the colouring in the sky. What beautiful painting you shared! Beautiful painting – and back to school now. D.F. 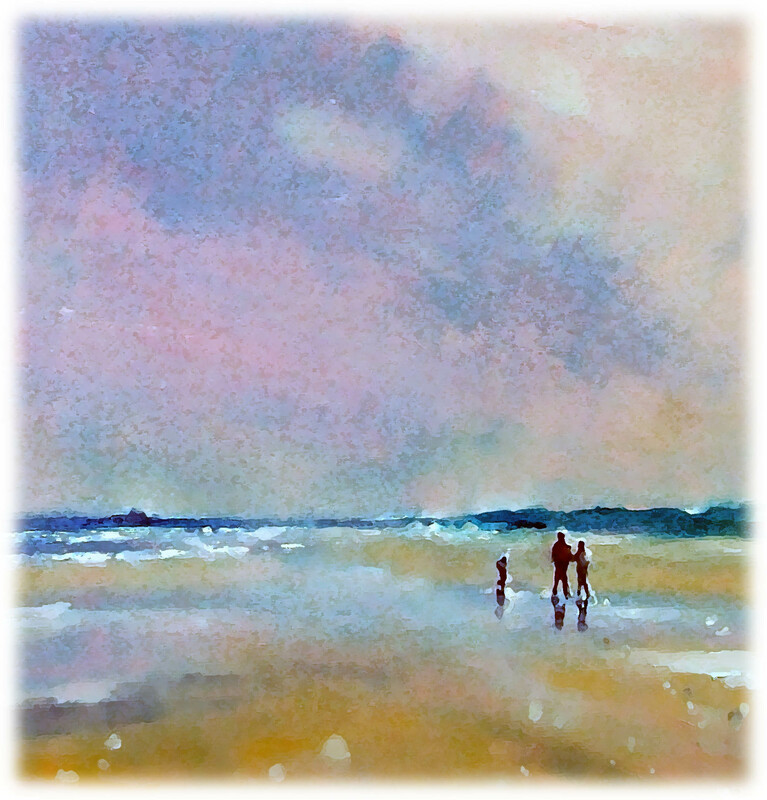 the strollers in your painting indeed walk under the full color spectrum of His Light in this advent time. Bless you for this special seasonal haiku! Yes, thank you again Granbee! In fact, you’re pretty close to my initial intention for this – the teachers are meant to be teachers of wisdom, preparing the world for a great teacher. Well, we have to live in hope, don’t we? The Advent of teachers of wisdom – wonderful! !